This is the New Orleans Police Department of habbo's most integral handbook website where one can learn about the way to survive in NOPD! Owned By Kapeck1-All Rights Reserved. Site Administered By some Trusted Staff. A college student is deeply in love with his classmate but he doesn’t know what to do to get the girl’s attention. One day, he came to ask the girl for help with his assignments and the girl agreed. Happily, he came to sit next to the girl the next day and took out a book pretending to read. NOPDHabboHandbook.weebly.com is not affiliated, endorsed, nor directly approved by Sulake Corparations or it's affiliates. 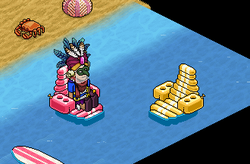 The use of HabboHotel Trademarks are permitted under the Habbo Fansite policy.